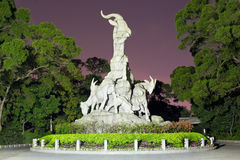 Guangzhou - Five Ram Sculpture. 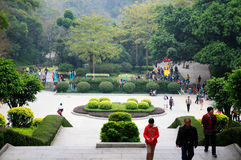 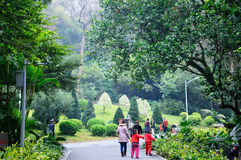 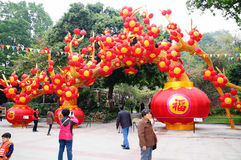 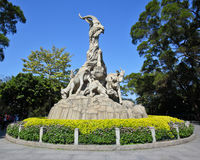 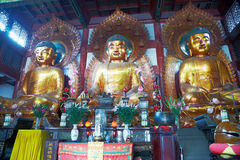 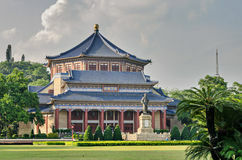 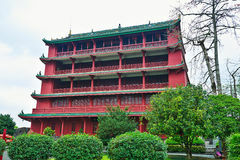 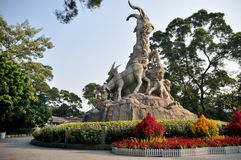 Guangzhou`s famous Five Ram Sculpture in Yuexiu Park. 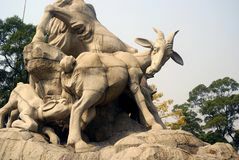 Statue of five goats symbol of Guangzhou. 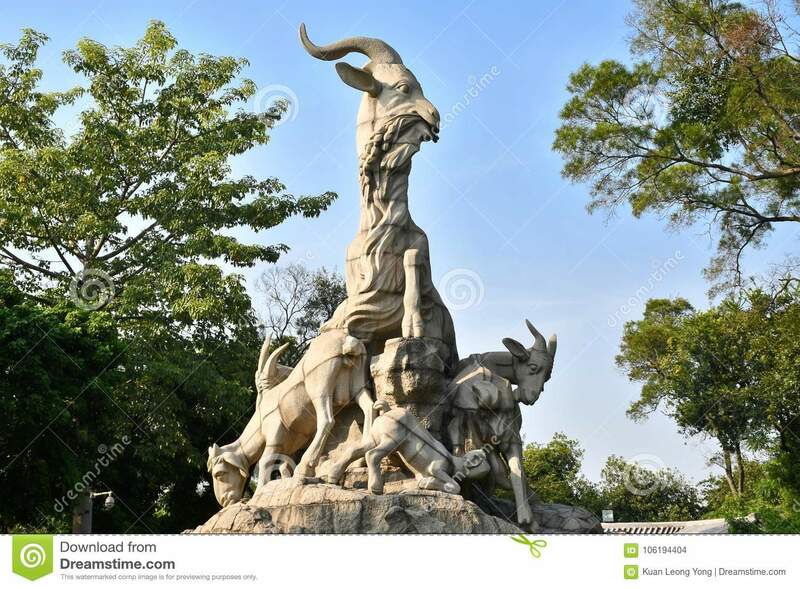 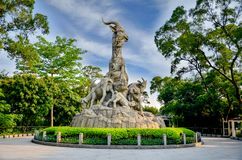 Five rams statue is the symbol of Guangzhou Canton City GuangDong China Five sheep sculpture Sites-Five-ram Sculpture (front) Goat Five Rams Statue, Guangzhou, China The Five-Ram Sculpture - symbol of Guangzhou Cityscape of Five-Goat Statue Guangzhou, China - July 10, 2018: A painting of five gods who came down to earth to help the people of Guangzhou and feed them.